The residents at Portner Place were at high risk of losing their longtime affordable homes when the property, located in a rapidly gentrifying neighborhood, went up for sale several years ago. All signs pointed to the site being converted to market-rate housing. 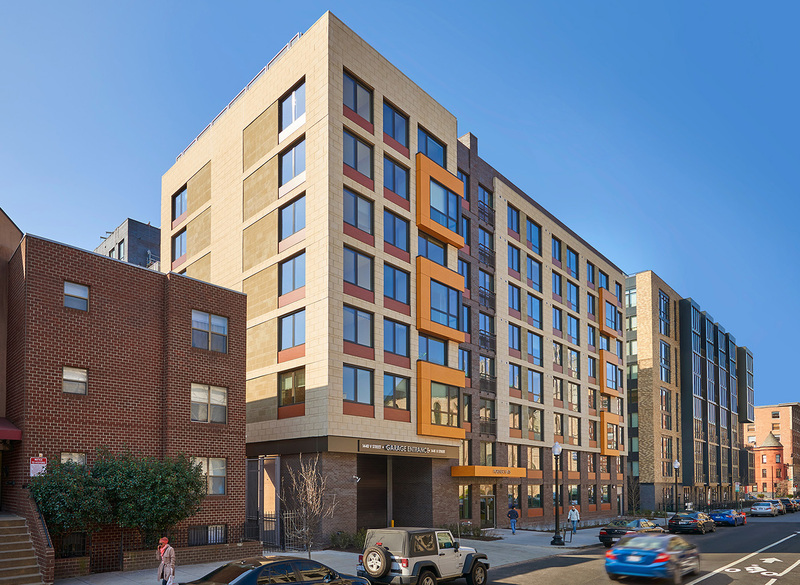 Developers Jonathan Rose Cos. and Somerset Development Co. worked with the tenants association to acquire the Washington, D.C., property despite its high market price. The team then tapped into that market strength to replace the aging 48-unit building with a new development that preserves and expands the housing’s affordability. 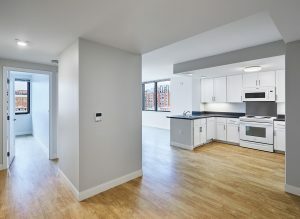 The property is located in the U Street corridor, one of D.C.’s hottest submarkets and an area with rising rents. 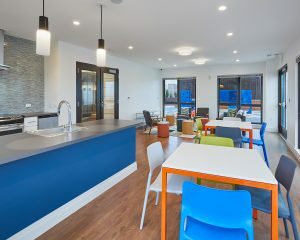 The development team used the strength of the market to create more affordable housing. To support the purchase, it had to rezone the property to increase the density for a new development—just as a market-driven developer would have done. However, unlike a market-driven developer, the team split the 1.1-acre site into two—one for the new Portner Flats and the second one that was sold to another firm to build 288 market-rate units and retail. By selling part of the land, the developers were able to use profits from that sale to put equity into Portner Flats and double the affordable units to 96. The original residents were relocated while Portner Flats was being built. The team secured a Sec. 8 pass-through contract, assuring that residents’ rental assistance would continue while relocated off-site. Thirty-seven original residents have returned to Portner Flats, which has improved services and amenities. Half of the units are for individuals or families making 60% or less of the area median income. The remaining half is subsidized by a Sec. 8 contract. The $54.5 million deal utilized tax-exempt bonds and low-income housing tax credit financing. Developers: Jonathan Rose Cos. and Somerset Development Co.
Major Funders: Boston Financial Investment Management; Capital One; District of Columbia Housing Finance Agency; Prudential Mortgage Capital Co.; AFL-CIO Housing Investment Trust; Rose Green Cities Fund; Citi Community Capital; Freddie Mac; D.C. Department of Housing and Community Development; Eagle Bank; Department of Housing and Urban Development; Somerset Development Co.; Jonathan Rose Cos.